The winners of the 13th Marketing Cheshire Annual Tourism Awards were announced last night (23rd November 2017) at a glamourous awards ceremony at Chester Racecourse. The Awards, attended by nearly 300 tourism representatives, celebrate excellence and outstanding achievement by local businesses and individuals representing the great variety of businesses that contribute to Cheshire’s visitor economy, which was worth £3.3 billion and employed over 42,000 people in 2016. This year’s winners included Chester’s new multi million pound theatre, cinema and library, Storyhouse, which won Large Visitor Attraction of the Year, Carden Park, which was named Hotel of the Year, and Stage 3 Tour of Britain, which won the award for Best Tourism Marketing Project for its achievements in attracting over 300,000 spectators along the route in East Cheshire, the highest number for the tour. Some of the winners will now go on to represent Cheshire at the national VisitEngland Awards for Excellence in 2018. Katrina Michel, Chief Executive of Marketing Cheshire, said: “Cheshire’s tourism industry really is going from strength to strength and this has been one of our most competitive years yet, reflecting our unique products and the high quality of our tourism offer across the board. This year’s awards were sponsored by South and West Cheshire College, Shopper Anonymous, Prestige, Spiral, Hipswing and the University of Chester. 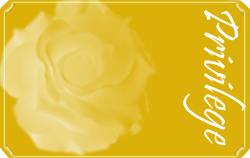 “As a member of Peak District Premier Cottages, we are delighted to offer our guests the following special benefits…” Click here to find out more. 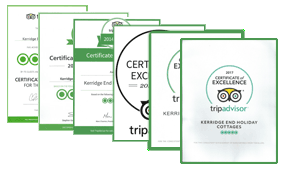 Tripadvisor certificates of excellence 2012, 2013, 2014, 2015, 2016, 2017 and 2018.